TOKYO (Reuters) - Honda Motor Co <7267.T> on Monday named an experienced, yet little known, engineer as its new chief executive, who will take over in late-June with the Japanese automaker battling the fallout from a slew of recalls that have shaken its reputation for quality. At a brief news conference in Tokyo, Ito and Hachigo spoke little of Honda's recent missteps, instead saying the groundwork had been laid to take the automaker forward after moves to make its six operational regions self-reliant and accountable. Hachigo, who worked on the popular U.S. Odyssey minivan and CR-V crossover, skips several ranks in his promotion to CEO, but Ito said his broad experience made him the ideal candidate. "I felt this was the right timing for us to boost efficiency and results globally," Ito, 61, told reporters. 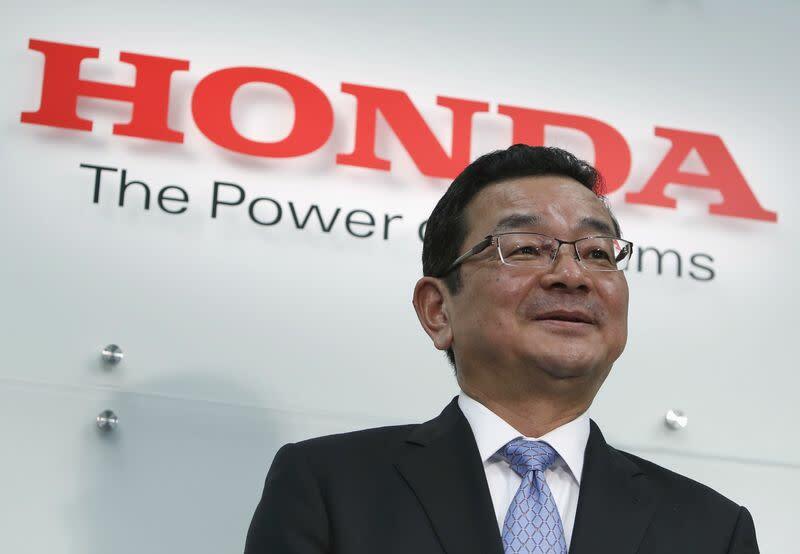 Hachigo's appointment marks the first time Honda has named as CEO a non-director and someone who has not headed the firm's R&D company. "My job is to take the (current) strategy forward, and evolve it," Hachigo said. "I think this is an attempt by Honda to tread a different course, with someone who upholds harmony," said Takaki Nakanishi, a veteran auto analyst and CEO of Nakanishi Research Institute. "I don't know anyone who has anything bad to say about him," said one senior Honda executive, speaking on condition of anonymity. He described Hachigo as "nice" and "thoughtful".